The ambulance crew are basic life support only, so the patient has received 324mg of aspirin, and oxygen by nasal cannula. Upon arrival she is seated upright on the stretcher breathing rapidly, with the following vitals: heart rate 107, blood pressure 180/110, respiratory rate 20 and slightly labored, oxygen saturation 100% on 2 L/min by nasal cannula, and blood glucose 110 mg/dL (6.1 mmol/L). Broad complex tachycardia at 107 bpm. 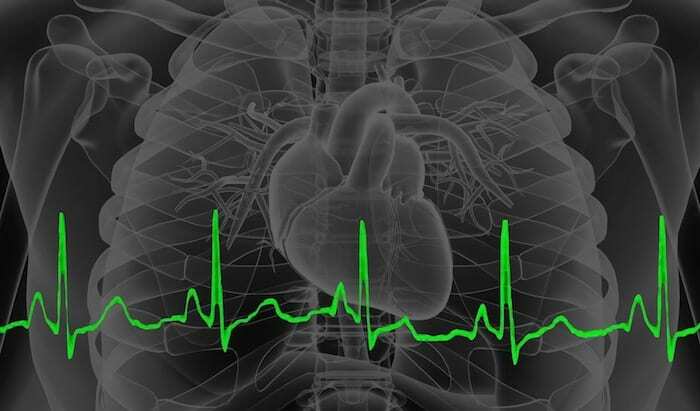 Pacemaker spikes dissociated from QRS complexes. Q2. 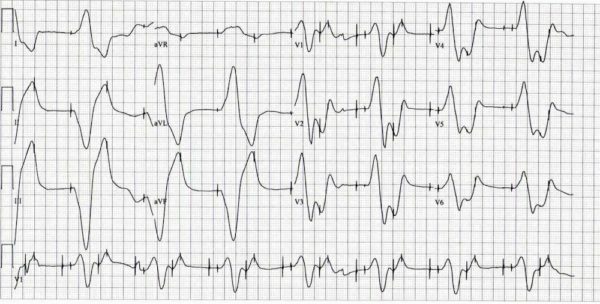 What is the significance of these ECG findings? However, when the QRS duration is greater than 200 ms, hyperkalemia should immediately move to the top of the differential. Hyperkalemia would also explain the pacemaker failure to capture. When the QRS becomes too wide, the pacemaker attempts to trigger during the refractory period and fails to capture. Q3. What other diagnostics are warranted at this point? The ECG alone is neither particularly sensitive nor specific for diagnosing hyperkalemia. Serial blood draws should be used to track the patient’s potassium. A VBG using an ED-based gas analyser is often the most rapid way to get an initial potassium reading, and may give useful information about acid-base status. Urea and electrolytes should be checked to detect renal dysfunction. Her initial potassium is 8 mmol/L. Q4. How would you manage this patient? There are 3 goals in treating hyperkalemia: membrane stabilisation, shift potassium into cells, and increased potassium elimination from the body. Calcium chloride and gluconate are both effective. Remember that calcium gluconate does not have to be metabolised by the liver to work. Sodium bicarbonate: alone does not lower potassium, and there is debate whether it will potentiate the effects of salbutamol / albuterol and insulin + dextrose. Kayexalate: while a mainstay of treatment, there is no evidence that kayexelate reduces potassium levels. 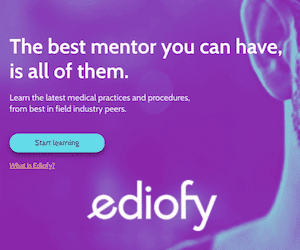 The original research that promoted its has serious methodological flaws. Q6. 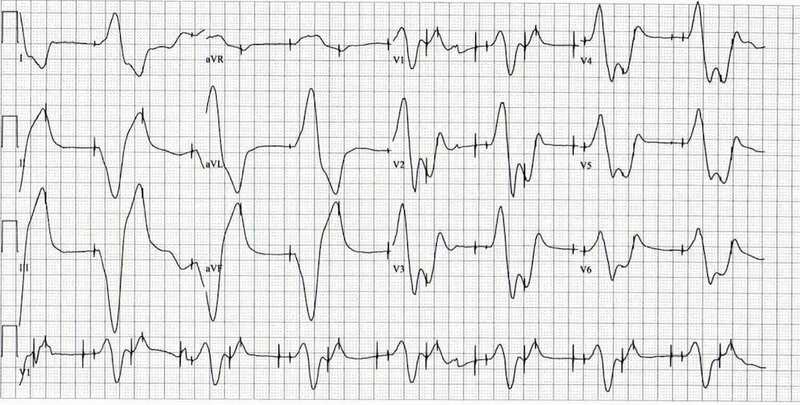 Can you describe this ECG? Underlying rhythm is a dual chamber AV sequential pacemaker. Pacemaker rate: 100 bpm, Ventricular rate captured: 50 bpm. Q7. What are the significance of these ECG findings? While the patient’s pacemaker has taken over, it is still unable to capture 100% of the time. The wide QRS from the underlying hyperkalemia is causing half the pacemaking impulses to fall during the refractory period of the QRS and fail to conduct. Q8. Based on the ECG findings, do you believe the patient’s condition has improved? A blood draw confirms that the patient’s potassium level has dropped to 6.6 mmol/L. Q9. Can you guess how the patient wound up in this state? Furosemide is a loop diuretic that when administered alone may cause low potassium levels. As such, many patients on furosemide will be taking a potassium supplement. After additional interviewing, you find that the patient misunderstood the dosing instructions for the potassium and unintentionally overdosed.